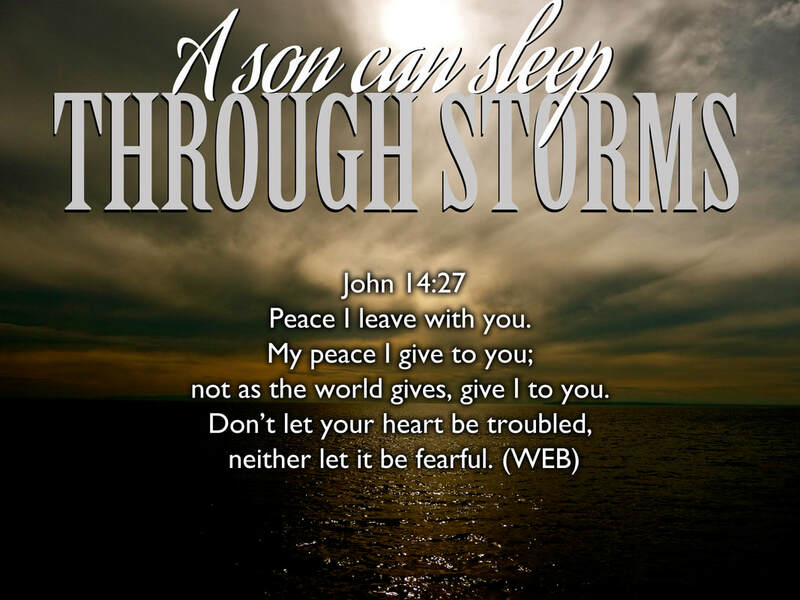 God wants to GIVE you His peace in the midst of a restless orphan-hearted world system that is screaming out thousands of media messages a day. God wants to GIVE you His peace in the midst of a religious system that is demanding that we do more in order to become acceptable. Many years ago, I developed a stress-related condition called hyper-hydrosis that plagued me for some time. No manner of praying or rebuking the enemy seemed to bring me relief from this chronic disorder. It wasn't until I had a vision of Jesus asleep in a boat in the midst of a storm (Matthew 8:24) that I instantly received my healing.